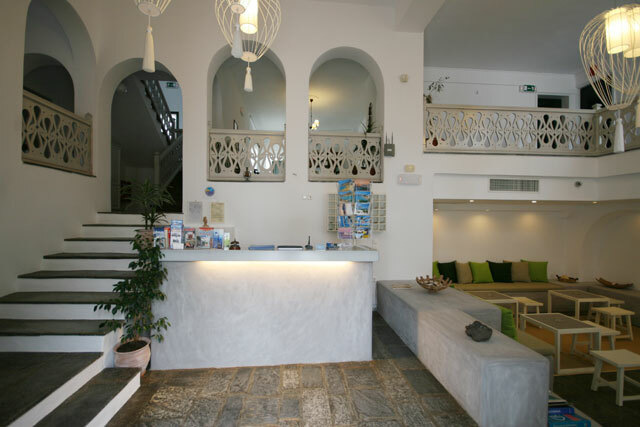 Come to the beatiful Naoussa of Paros and enjoy the nice end warm-hearted environment of Hotel Kalypso. 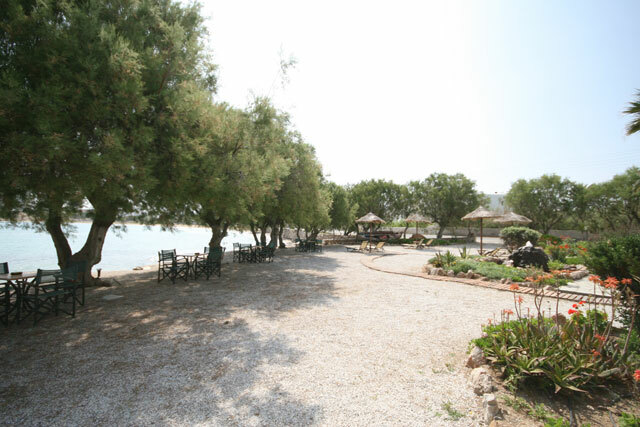 It is situated in an idyllic location, right in front of the beach of Agii Anargyroi. 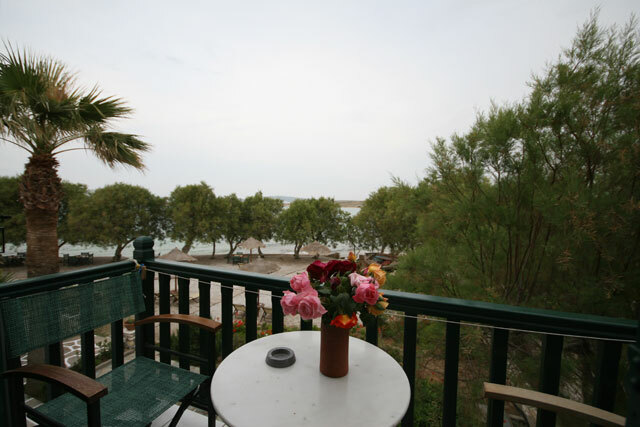 The location is ideal for those wanting to relax and enjoy the sun and the sea without being away from the center. 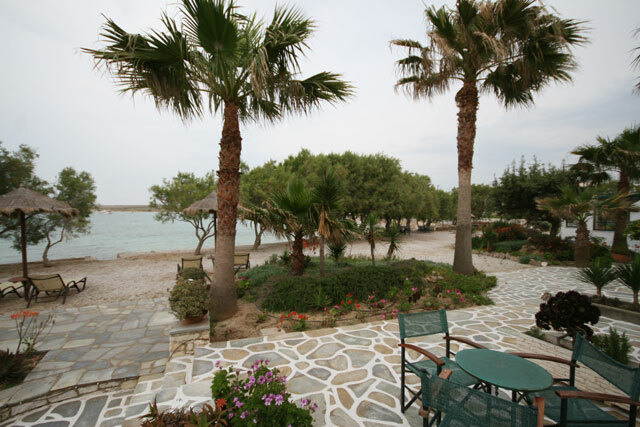 Naoussa is the second most known village of Paros after Paroikia. 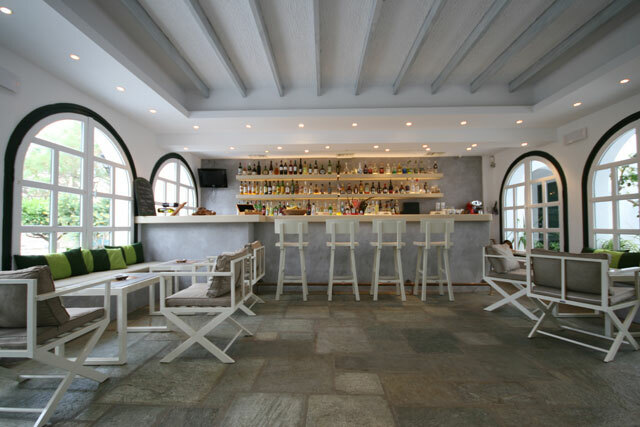 It was a small fish village, which now keeps the traditional elements of that time. 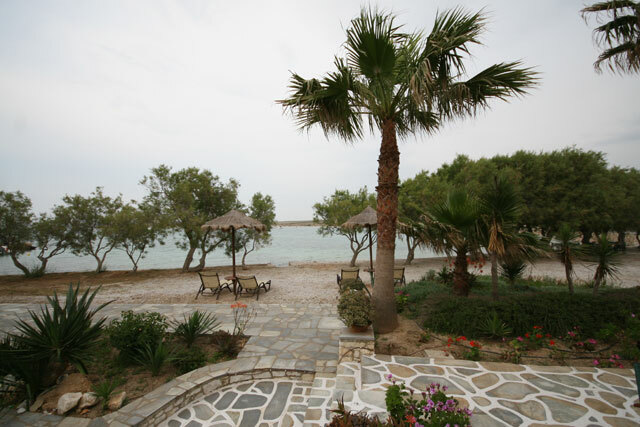 Despite the mass invasion of tourists it never lost the quietness and tranquility and many people choose it for their summer vacations. 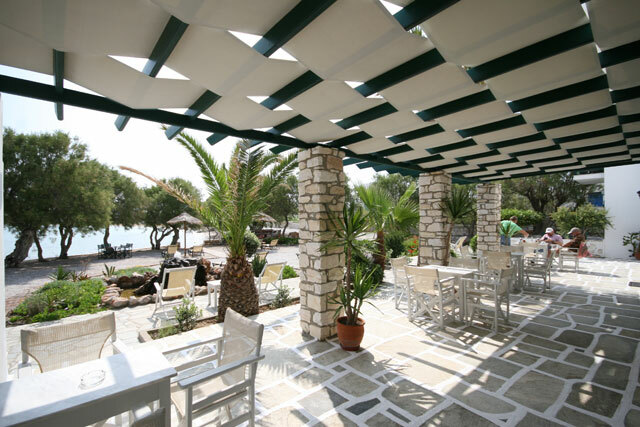 The numerous tourist shops, restaurants, clubs and coffee houses offer everything you might need during your stay here. 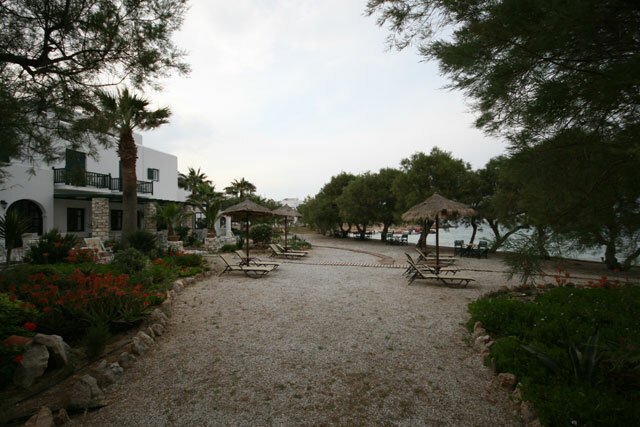 Kalypso is a traditional hotel consisted of rooms and apartments. 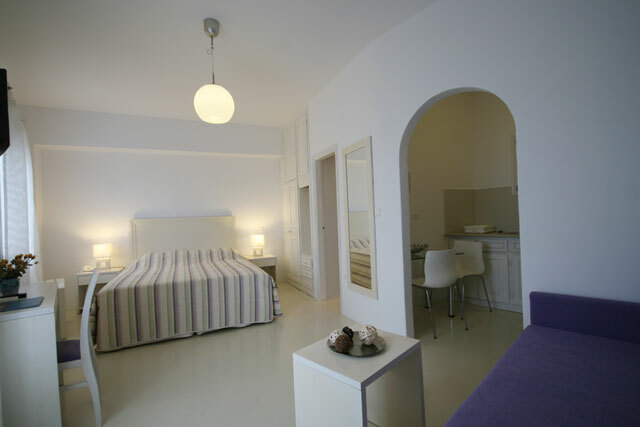 It has in 2 single and 31 double rooms all with private bath. 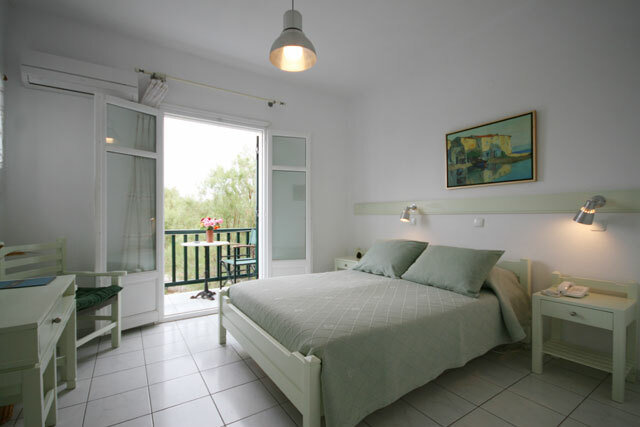 Also 3 suites for 2-4 persons, 5 studios complete with kitchens for 2-3 person. 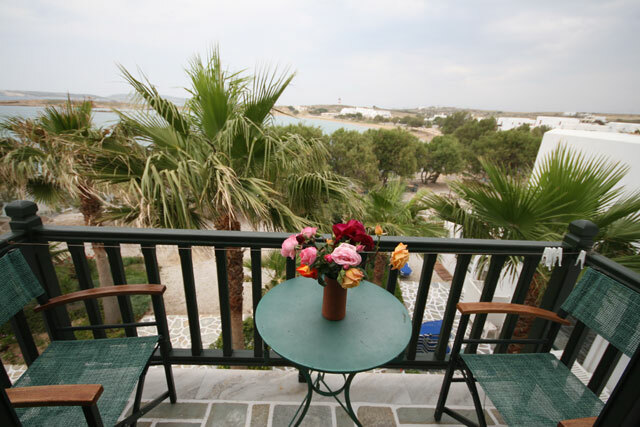 The KALYPSO APARTMENTS are about 450 m from the hotel and are consisted of 7 studios for 2 persons and 7 flats for 2 to 5 persons (two bedrooms). 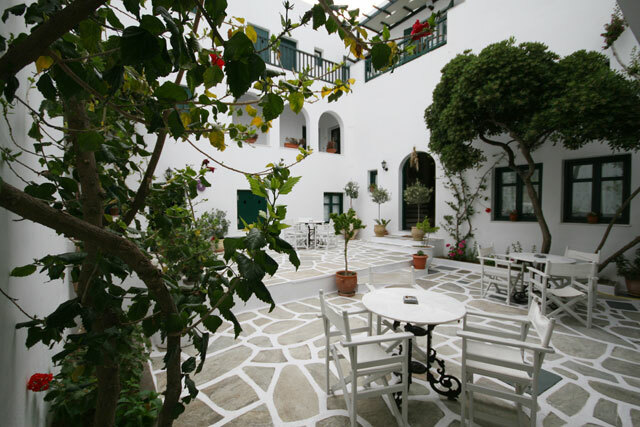 The guests of Kalypso can relax in the courtyard under the tamarisk trees and enjoy their coffee, breakfast or drink. 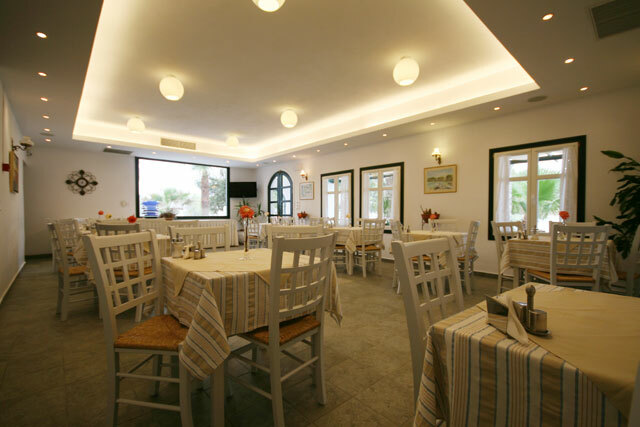 The friendly and experienced personnel, as and the warm hospitality will make you feel at home. 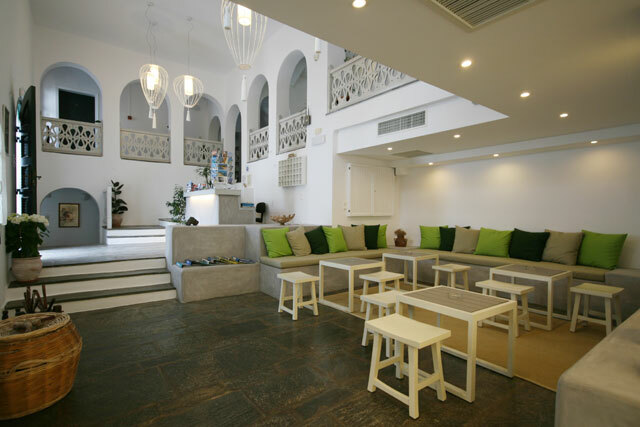 The reception desk is at your disposal offering impeccable services as and car – moto hire.